Urban Dog - Get in touch with your inner dog. Choose the issue you're interested in viewing. After Lenore Day lost her dog Zeus to bone cancer, she was overcome with grief. Like many pet owners, she discovered that the loss of an animal can be just as traumatic as that of a family member. Friends suggested a number of ways to cope, but Day was comforted by creating a heartfelt poem about Zeus which she placed in a frame with his picture. Hanging the keepsake above the spot where he used to sleep, at last she found peace. Now Day operates Pet Memorial Portraits, a business that helps her share her means of coping with others. When pet owners contact Day about creating a memorial, she asks questions about the animal to get a sense of its personality. She then writes a short sentiment or poem, which is placed in a mat and sent to the owner who can include a favorite photo of the animal. Day’s business is not unusual. A quick Web search reveals that dozens of companies across the country offer some type of pet memorial, from majestic paintings to loving poems and beautiful urns for final rest to high quality movies that showcase a life. There are innumerable ways to honor pets that have passed on for owners looking for comfort and a way to begin healing. Sharon Mnich, owner of Critters.com, says people should understand that there’s no right or wrong way to grieve, and everyone handles the loss of a beloved pet differently. She says those going through the trauma should always remember that it’s okay to reach out. 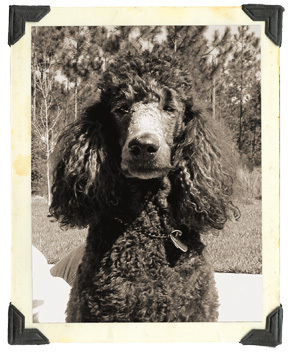 At Critters.com, owners create online memorials in celebration of a deceased pet’s life. Each page of each memorial can contain pictures, poems, music and other items that the creator feels express something about their beloved pet. They can also communicate with one another on public message boards to offer encouragement and advice in dealing with the death. Critters.com grew out of another site, VirtualMemorials.com, which Mnich started 10 years ago to offer people a way to grieve for their lost family and friends. When Mnich discovered that some were using VirtualMemorials.com to pay tribute to their pets, she launched Critters.com. After only 10 months of operation the site already has nearly 1,000 members and growing. Mnich says a lot of that growth is through word of mouth. Mnich says it’s clear by looking at some of the pages that a few of her clients are having a tough time letting go, even after a long period of time. But, she says, most find that the site helps them through the process, enabling them to get back to normal quicker. Sometimes people want to say goodbye to their pet just as they would a friend or family member. Recognizing that, Jennifer Melius, who has spent years running a pet cremation service, recently joined with national funeral services provider Stewart Enterprises Inc. to form a new company. Heaven’s Pets at Lakelawn Metairie LLC is a full-service pet cremation and bereavement center offering clients a place to properly say goodbye. Located on an acre of land in Metairie Cemetery just outside New Orleans, the 2,100-square-foot Heaven’s Pets facility is a warm and inviting place with a tropical feel. Within the building are an arrangement room where client consultations take place and a viewing room for those who wish to watch the cremation process. The viewing room is also used regularly for group and private memorial services. In addition, the company provides grief counseling twice a month. Beyond the actual cremation, Heaven’s Pets offers options for permanent pet memorialization. Just outside the building is an in-ground vault or ossuary where people can deposit their pet’s ashes in a communal place. Clients may also choose to pay tribute to their pet by dedicating one of the benches on site or having one of the brick pavers that line the walkways engraved with the pet’s name. Melius is working with a consultant to plan the development of the rest of the land surrounding the Heaven’s Pets building. There are plans to build a columbarium, a large glass-walled vault where clients may choose to have their pets’ urns interred. She says interest in the columbarium is already high. Work is also underway on an onsite memorial to the pets that perished in Hurricane Katrina. If successful, Melius says Heaven’s Pets will expand to other locations through its partner Stewart Enterprises, which operates funeral homes and cemeteries around the country. Christopher “CJ” Johnson is the President of Best Friends Services (www.bestfriendservices.com) in Silverdale, Washington. The web-based memorial business was started in 2003 and Johnson says the company has experienced a 100% increase in sales or urns, stone markers, picture frames as pet owners search for a unique and personal ways to honor and memorialize their beloved companions. Meanwhile another company is bringing dogs’ lives to the screen. Nicky Phillips created her first Dog-u-mentary for a friend who had recently lost her dog. Phillips took her friend’s pictures of the dog and made a DVD through digital editing. “I wanted the memories of her dog to be translated into a visual that she could see whenever she wanted,” Phillips says. The friend’s reaction made Phillips realize what a valuable service she had on her hands. Today the Dog-u-mentaries she makes through her company Scene One Media show pooches both living and passed on. “I think having a video put together of your dog allows people the chance to always revisit their dog's life,” she says. Yet another way to honor your dog’s life is through a donation. Local animal shelters, breed specific or general rescue groups, the U.S. Humane Society and the American Veterinary Medical Foundation are just a few of the organizations that accept donations in the name of pets. Whatever means you choose to memorialize your pet, it should be something that makes sense to you the owner while recognizing the role that four-legged friend played in your world—if only for a while. Beyond honoring a dog’s life, owners sometimes worry what might happen to their living dog when they themselves pass away. For these owners, there can be an overwhelming feeling of helplessness—who will care for their dog the same way they have? One solution is a pet trust. Owners can establish specialized legal trusts through their attorney that provide money for another individual to care for their dog for the rest of its life. New York attorney Meg Rudansky specializes in pet trusts. Rudansky says she recommends them for clients who might outlive their pets and want the peace of mind that comes from creating a vehicle that provides the funding and instructions for their pet’s care. Typically a trust involves two individuals, a caregiver and a trustee. The trustee is the individual responsible for the funds in the trust while the caregiver is charged with the animal itself. Occasionally these two roles are given to the same person, but Rudansky says she advises clients against that approach. “With a division of labor, the trustee can be instructed to only disburse a fee to the caregiver if he or she is properly caring for the pet,” she says. When selecting a trustee, the owner should choose someone who is financially responsible. She also recommends someone be chosen who lives near the caregiver to ensure they are doing their duty under the trust. A caregiver should be chosen based upon their love of animals and shared philosophy on pet care. Rudansky says often an owner will bypass their first choice for caregiver because the individual is older than they are. “My feeling is to go with the best person and if that person is older, then name at least two successors to that person,” she says. Rudansky advises clients to include a procedure in the trust document by which the trustee can remove the caregiver if he or she is not caring for the pet responsibly. In addition, she recommends that a fee be established for both the trustee and caregiver that provide an incentive beyond an ethical commitment to the original owner. Pet trusts are only legal in some states. Owners should check with their attorney to determine if pet trusts are an option where they live or if other plans can be made.